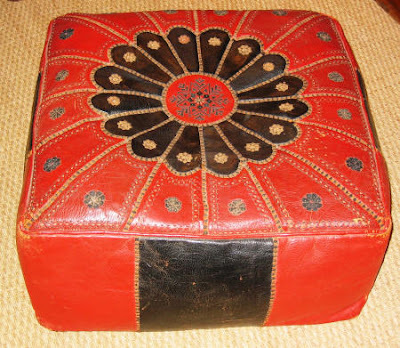 Since I've been posting a lot of ottomans/footstools this week, I thought I should go ahead and show some serious follow-through. 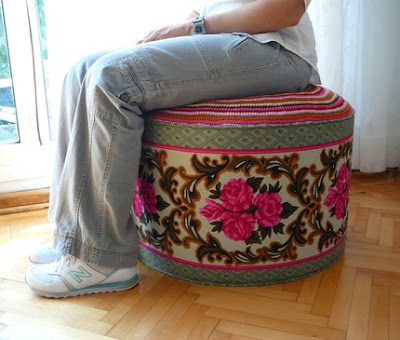 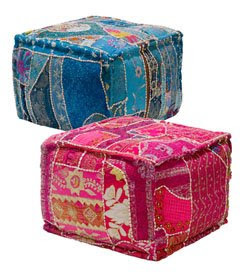 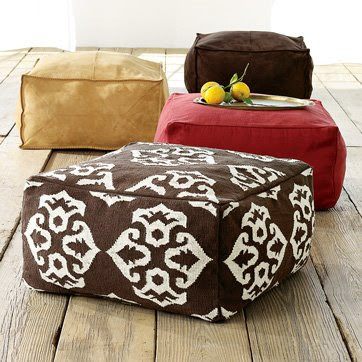 Because really, what better way to gypsy-up your life than have some eclectic poufs - footstools - ottomans in your home? 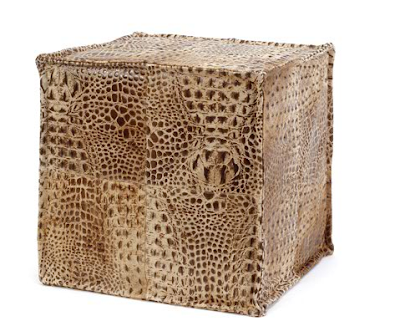 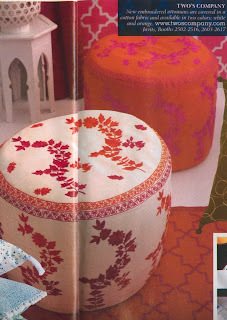 Thinking about my previous post of Two's Company global-inspired ottomans, look what I came across while clearing out promotional material... A snippet from the Winter Market Preview in Design & Decor Magazine: More Asian ottomans! 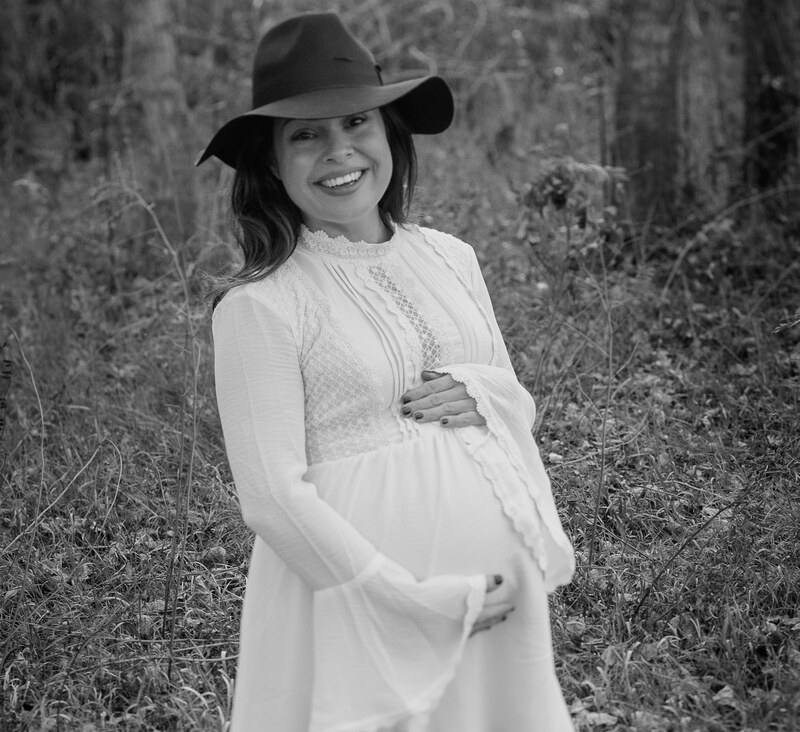 Oh my... they are gorgeous!